One of the most enjoyable aspects of our work is witnessing architecture make a family fall in love with their home again. 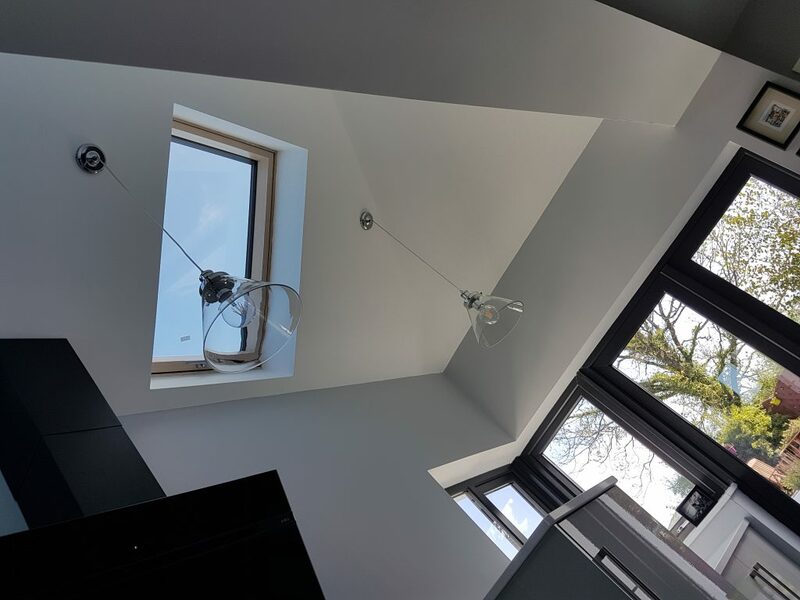 This was our experience of a recent refurbishment and extension to a family dwelling in Co. Leitrim. Everything about the pretty village of Leitrim, that attracted them twelve years ago, still appealed to our clients. They had simply outgrown their first home. Family visits from Donegal were now an expanding entity in themselves as cousins for their two girls arrived along. Entertaining family was never going to be compromised by this pair, so they came to us seeking to expand and open up their kitchen-dining space and to find a way to incorporate a snug sitting area. Although the site is narrow we were able to add on a small extension to the side. 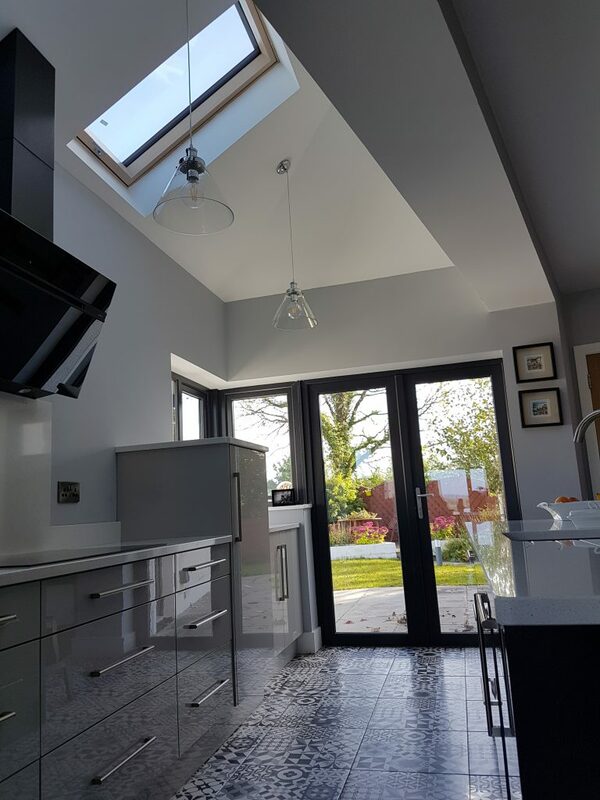 We flooded the new extension with light from above, as well as improving access to an existing patio garden directly from the kitchen, with the addition of new glazed doors. Reconfiguring the existing internal layout created a transformation of the boxed, defined spaces too often the property developers’ layout of choice. 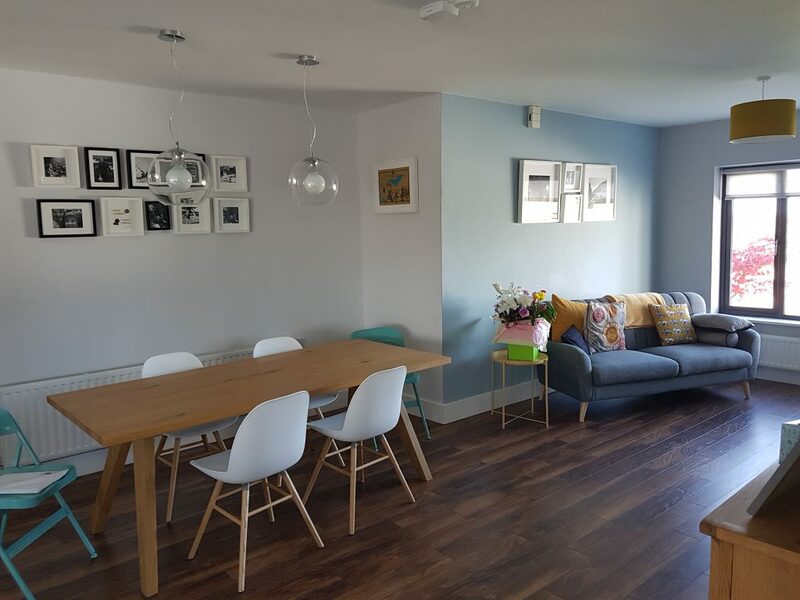 The look of the new space is contemporary, a light filled soothing palette of whites and blue greys with pops of colour in the soft furnishings. 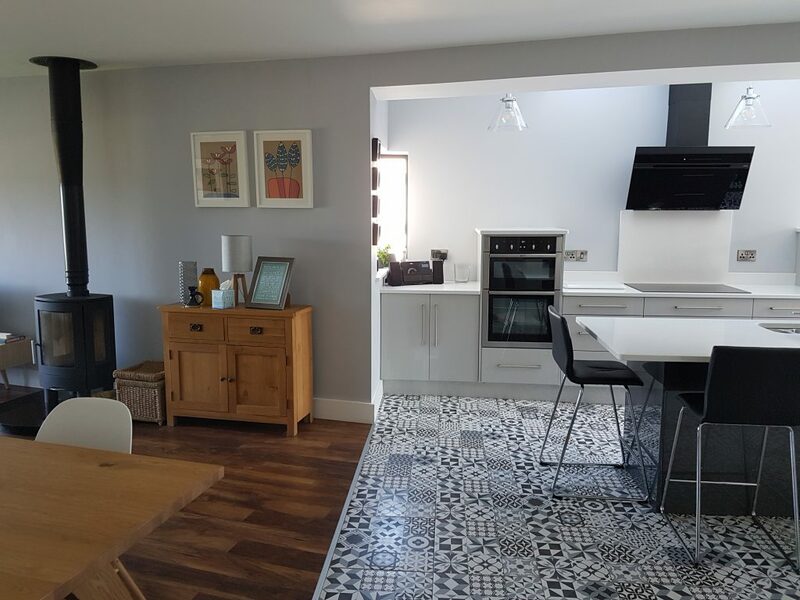 Now at the end of a busy working week our clients like nothing better than to avail of the stunning amenities Leitrim has to offer and return home to the space that more than ever is the heart of their home. 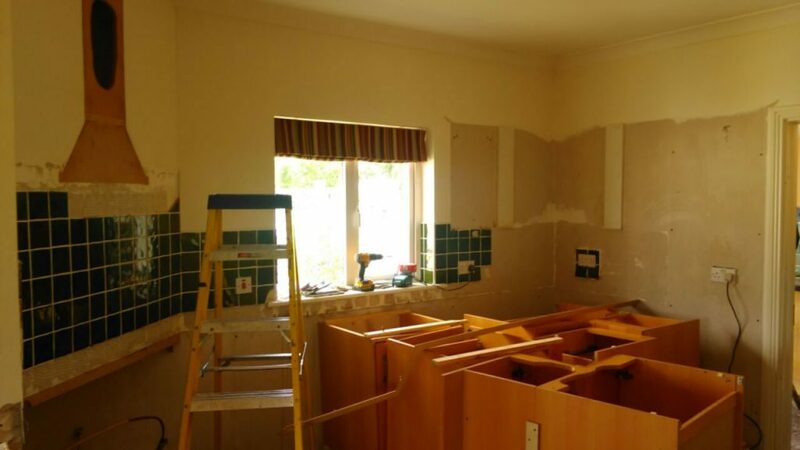 We know they are sure to maximise their new kitchen over the holiday period. We wish them and all Allan Curran clients and friends a happy and peaceful Christmas. 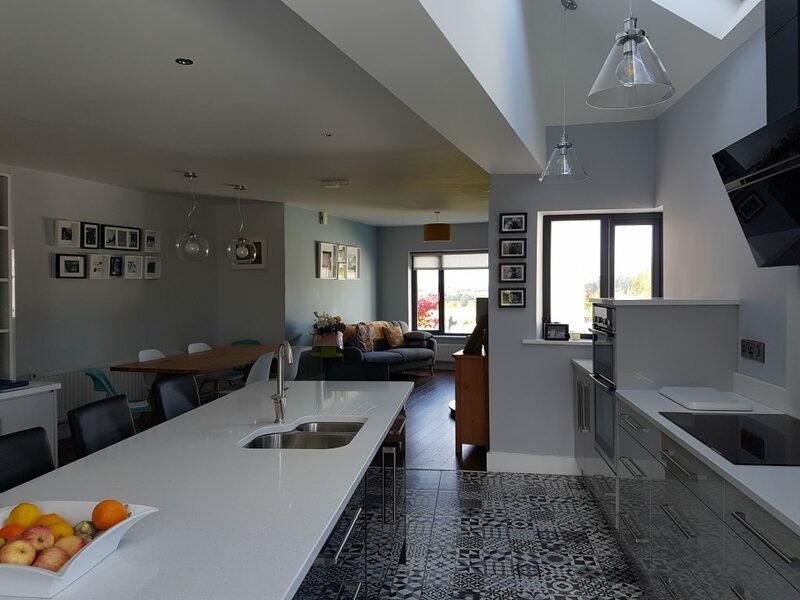 Our clients wanted to open their house up to create more room for entertaining family and friends, and although the site is narrow we were able to add on a small extension to the side. 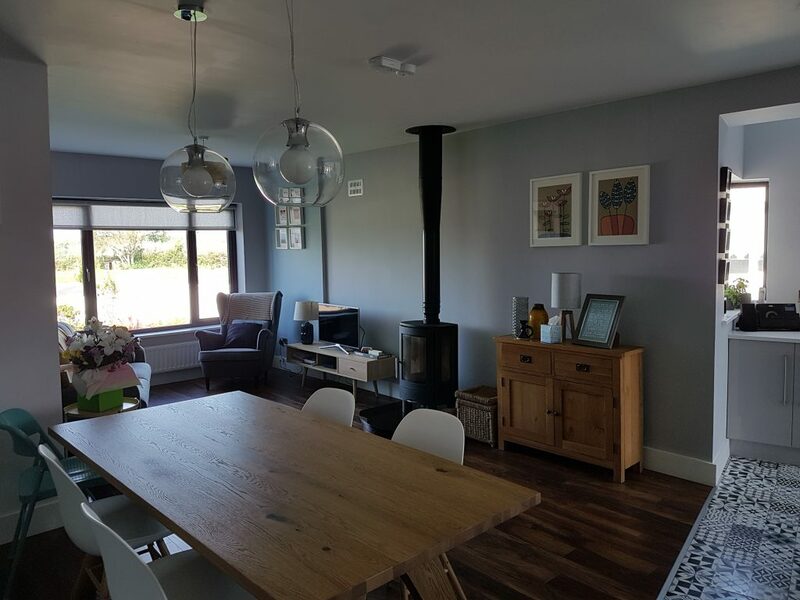 We also removed a few walls inside the house, so that with contemporary finishes, fittings and furniture the whole look and feel of the house has been transformed. 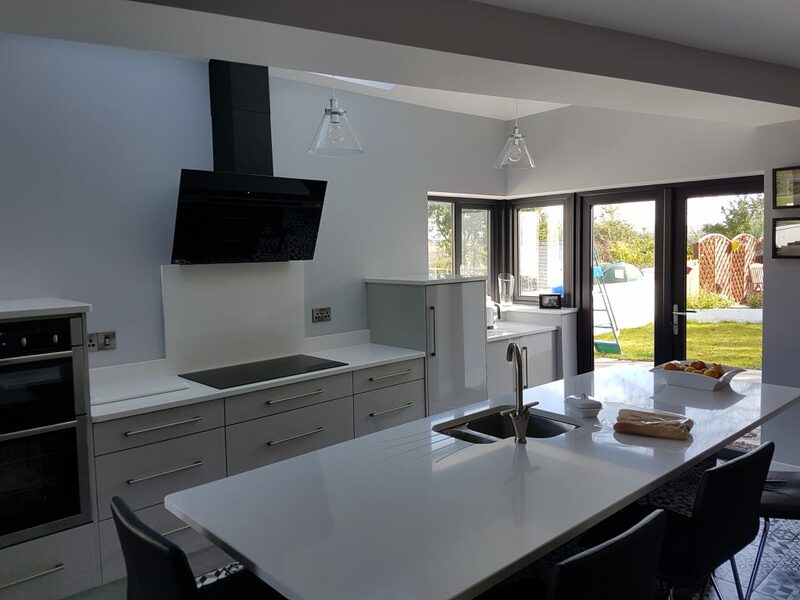 Our clients are delighted with the light- filled Scandi- feel of their new kitchen, dining and living areas and are sure to make good use of them over the holiday period.